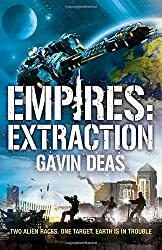 Empires: Infitration & Extraction out now! 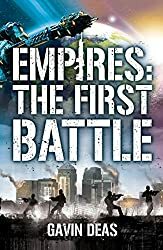 “This groundbreaking collaboration between two Gollancz authors tells of the invasion of Earth by two different alien races – at the same time. 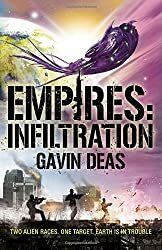 Two men become aware of the threat, and must work to sabotage the invasion plans and see off the aliens. I wrote Infiltration and Stephen wrote Extraction. If you can’t find them in a bookshop then they are available on Amazon: here, here and here, Waterstones: here, here and here, and WH Smith: here and here. This entry was posted on Tuesday, November 25th, 2014 at 10:33 am. It is filed under News. You can follow any responses to this entry through the RSS 2.0 feed.